Hello friends! Happy Thanksgiving to all of you! 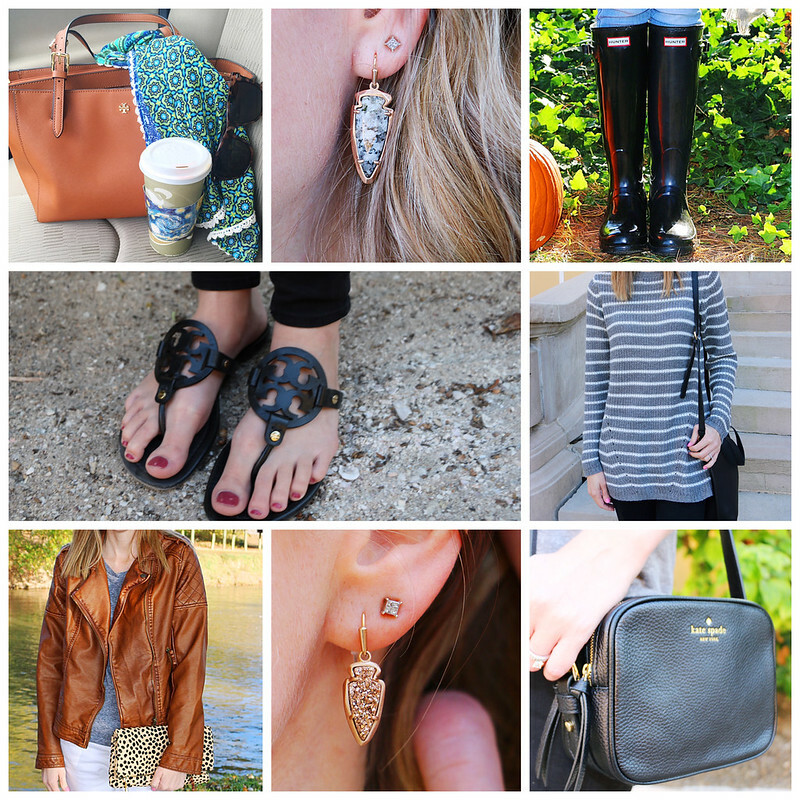 I have rounded up some amazing sales from a few of my favorite stores. I don't do the whole Black Friday shopping in stores, but I will be crossing a few people off of my list by doing a little online shopping. I have linked a few of my favorite items above that are currently on sale. I hope that you find this helpful. Thanks for stopping by! American Eagle Outfitters: 40% off storewide plus free shipping. J. Crew: 40% off in store and online with code HOLIDAY. Kate Spade: 30% off entire purchase with code THANKFUL. Kendra Scott: 20% off everything with code SALE20 plus free shipping. Loft: 50% off everything with code BERRYGOOD. Macy's: Extra 20% off plus free shipping on $50. Extra 10% off select departments with code THANKS. Nordstrom: Extra 20% off select sale items through 11/27. Old Navy: 50% off nearly everything. No code needed. Rebecca Minkoff: 25% off your entire order when you spend $100 or more. Target: 30% off clothes, shoes and accessories. Tory Burch: Spend $250, get 30% off with code THANKS plus free shipping. Urban Outfitters: BOGO 50% off all apparel.